Several things drew me to this novel and the author didn’t let me down on any of them. 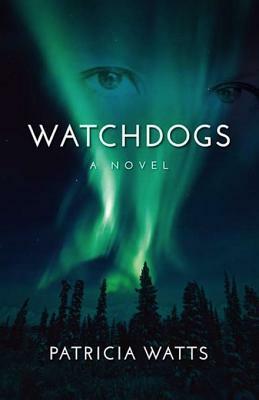 The main character, Julia, lives in Seattle and is on a sabbatical in Fairbanks, Alaska. I live in Washington and frequently visit my family in Alaska. The author captured Fairbanks perfectly and gave us a true taste of the beauty of rural Alaska. Another talent the author has is the ability to juggle plots, sub-plots and hold the tension just tight enough to keep the reader turning the page. There is murder, suicide, and attempts on Julia’s life all the way to the end of the book. I love Julia’s honesty, with herself and others. As a professor, she sets her students to the tough task of deciding where to draw the line with truth and journalism. The romance was done well also, and didn’t overpower the rest of the story. I always enjoy characters who wrestle with real life moral and ethical questions, as Julia does. Truth, justice, and how they are balanced with topics of journalism and the media, make this book a winner for me. Categories: BOOK News & Reviews | Tags: Alaska, book review, mystery | Permalink. I love the way you do book reviews! Simple and to the point — the way I try to do them. And I don’t give 5 stars very often — it’s got to be just as good as you said it does. There’s a lot of discussion about too many 5-star reviews being given for books that really shouldn’t get 5 stars for a variety of reasons. Makes readers not trust the system after a while. Loved this post and this review. Thank you, Sherrey! I’ve read about too many 5 stars and I agree.We know all books are not 5 star, so it is irritating to see so many on the book sites. Thanks for the compliments and for adding your thoughts. I write book reviews the same way. I figure they can get information about the book in a lot of places, but my opinion about what’s good and what’s not in just one. But reviews never get the kind of response other posts do. Pity, because I really like writing them! I still read both books AND reviews 🙂 And I want your opinion, not a book report. There, you said, it; they are not book reports! I’m not very active online right now, but I am reading, so I figure a review is better than no post at all 🙂 I like yours, so I hope you keep writing them. I enjoy reading your reviews Patti. Plus, they have enticed me to read new books. Watchdogs is now on my to read list. Thank you! My kind of review. I don’t need to regurgitate the book blurb. Thanks for chiming in, Pam! You make it appealing, Patti. I don’t want to know what’s in the book either. There is grade inflation, I admit–in universities, high schools, and book reviews. Now that I’m preparing to be on the receiving end of reviews, I’ll be grateful for every star. I usually only review books I love. Well, I can’t wait to read and review your memoir! I’m waiting to order it until I get home. Thanks for the kind words , Elaine. The way a good review is written. Thanks, David and hugs back! I’m echoing the thoughts of some of your readers, but I do agree – a book review is a critique, an opinion of a book, not a summary. I have probably been guilty of grade inflation too. Many of the memoirs I read cannot be compared to Lee Martin’s Such a Life or Patricia Hampl’s The Florist’s Daughter, yet I like them and give them 4 or 5 stars because they entertain, inform, or inspire.